Between July 2015 and 21 January 2016 the JSE's Resource's index crashed a whopping 63.89%. Mining and resource shares all over were crushed as investors clamoured over one another to shout "SELL" harder than their neighbour. But since the end of January 2016, there have been THREE important announcements that spell the end of this downturn. At least for a couple of tiny miners on the JSE. In fact, these three shares could have 100% or more upside potential from their prices TODAY. The majority of the resources crash happened because of a drop in commodity prices. The iron ore price for instance is down from $150 in 2013 t $65 today. The price of copper, nickel, export quality energy coal and oil have also crashed as mining companies increased production way beyond what the world can consume. So obviously these commodity prices have caused massive decreases in profits (and caused bankruptcies in some cases) of mining companies. But there are always the exceptions to the rule. The three companies I’m about to reveal are these exceptions. They’re small and nimble. So they can react quickly to market changes. One of them sells into a niche market, the others have benefited off the weak rand. On 23 February 2016 Pan African Resources released its interim financial results. The company grew revenue by 29.4% with profits soaring by 129% from R99.2million to R227.6 million. In addition to this, the company decreased its debt from R458 million to R345 million. It’s a dividend payer as well. And by year end in June 2016 I expect even bigger profits. Are you finally serious about becoming wealthy? You DO NOT need a ton of money to start with. You DO NOT need to spend all day in front of a computer. And you DO NOT need a ‘miracle’. All you need is the special strategy I use to pinpoint the fastest and highest rising companies on the JSE over and over again. At the moment the gold price, in rands, is teetering at ALL TIME HIGHS! The company is also entering a high grade mining cycle at its Evander gold mine. This means, it will take out more gold at higher profit margins this year. I expect the share to shoot through the R3 level to R4 soon. Technically not a miner, Merafe operates ferrochrome smelters. The company has a competitive advantage with it’s Premus technology that lets it use up to 30% less electricity compared to competitor’s smelters. On 8 March 2015 Merafe released financial results for its year ended 31 December 2015. The company finished building its Lion II smelter and it reached full production in 2015. On the back of this it raised production of ferrochrome by 13%. Revenue climbed 23% and headline earnings per share shot up 65% to 13.9cps. That puts the share on a PE of 5.97 compared to the JSE’s average of 22. The company started 2015 with a total of R1.251 billion in debt, and ended 2015 with only R660 million in debt. This is definitely a share worth well in excess of R1.20, and not its current 83c. Without having to risk large amounts of money. 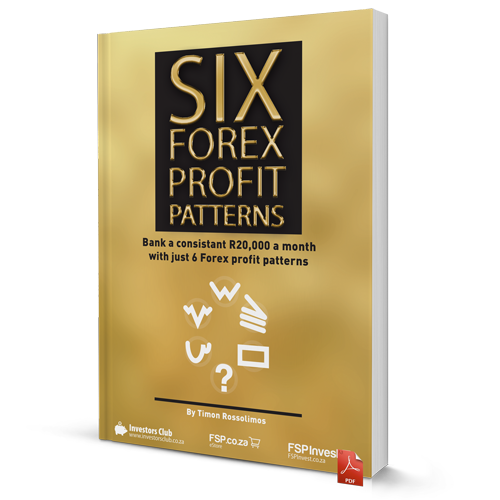 All you need is a simple Forex strategy, and you can start banking R20,000 a month from your Forex trades. What an exciting story… This tiny miner started out as a company that trades coal. It bought from other mines, sourced clients and sold the coal again – providing stockpiling and logistics ability in between. As the company grew it started investing its cash into smaller coal mines. It eventually developed the Intibane and Khanyisa coal mines operating today. These are small, million ton a year operations. But they are very profitable. And thanks to these profits the company managed to buy and develop the Elandspruit colliery. This mine can produce two to three million tons of coal a year for more than 13 years – at least. On 22 March 2016 Wescoal sent out a trading statement to investors. The company expects an increase in earnings per share of at least 50%. Last year’s earnings came in at 15.7cps, so this year they should come in at least 23.55cps. Currently the company is on a 120c share price, it jumped 14.2% immediately following this announcement. And it’s up from a low of 71c on 20 January 2016. But the share has a one year high of R2.24. If it goes back to this level (which is up 86% from its current price) it will be on an unassuming PE of 9.51. These three resources shares are definitely companies to watch. While most resource and mining companies are seeing profits shrink these companies are growing them. But they’ve been battered down by market sentiment so hard that they’re still selling at really cheap valuations.